(London, May 29, 2012) –The United Kingdom should immediately suspend deportations of ethnic Tamil asylum seekers to Sri Lanka and review its policies in assessing these claims, Human Rights Watch said today. The next scheduled deportation of Tamils from the United Kingdom to Sri Lanka is due to take place on May 31, 2012. In addition to eight cases in which deportees faced torture on return reported inFebruary, Human Rights Watch has since documented a further five cases in which Tamil failed asylum seekers were subjected to torture by government security forces on return from various countries, most recently in February 2012. The Sri Lankan security forces have long used torture against people deemed to be linked to the Liberation Tigers of Tamil Eelam (LTTE), and growing evidence indicates that Tamils who have been politically active abroad are subject to torture and other ill-treatment, Human Rights Watch said. Four of the five cases recently reported to Human Rights Watch were corroborated by medical reports. A Tamil woman asylum seeker returned to Sri Lanka in May 2009 said she was detained, questioned and subjected to torture including sexual abuse by security agents, and imprisoned for five months at an army camp. I was beaten up and tortured. My head was banged against the wall. I was suspended upside down and burnt with cigarettes. I was handcuffed and shackled throughout and beaten with various objects. My interrogators accused me of being an LTTE agent and tried to suffocate me with a petrol-infused plastic bag. The UK Border Agency’s Operational Guidance Note on Sri Lanka, updated in April 2012, acknowledges reports of torture as a widespread practice in Sri Lanka, but omits guidance on the risk of torture based on participation in demonstrations and other political activity abroad. 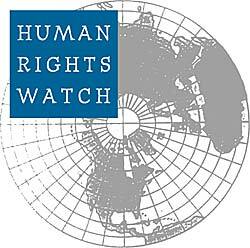 Human Rights Watch’s investigations indicate that their torturers interrogated deportees about their political activities abroad.